We�ve Got Harmony, Songs About Me & My World: Let�s make special memories and sing about moments that are important in a child�s life. Whether it is about their first day of school, flying a kite, gardening with Grandma, or learning to count money, kids will relate to these 12 songs. Singable lyrics and a variety of tunes both excite and soothe, from hand clapping to harmonizing, to living in a world of peace and friendship. 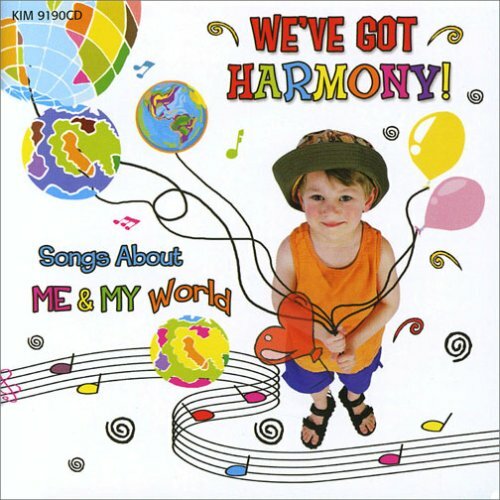 We�ve Got Harmony will be a treasure to share at home, library and school, and will enhance thematic units on self-concepts, friends and family.